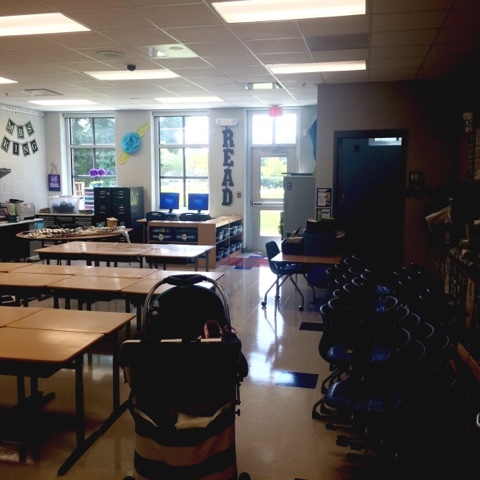 Day 2 in my classroom! Today was not a very glamorous day. 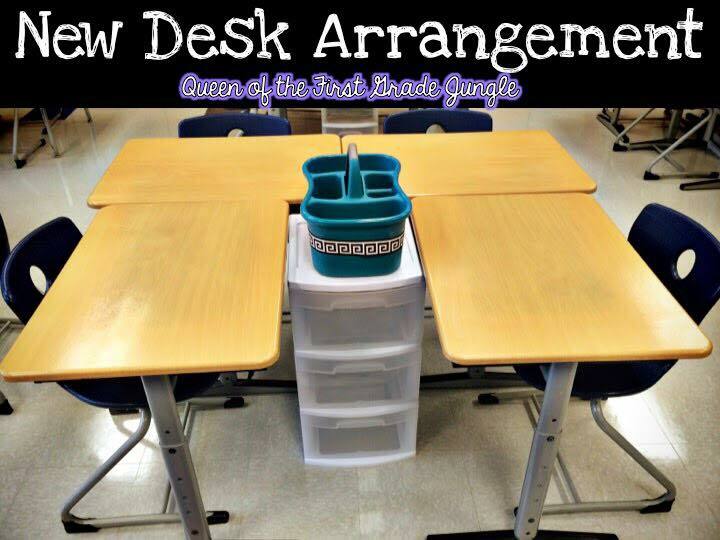 It was moving desks, wiping desks, and organizing books. Last year I discovered this desk arrangement and have LOVED using it. We use the top drawer for math books, middle drawer for writing folders, and bottom drawer for science or social studies books/folders. 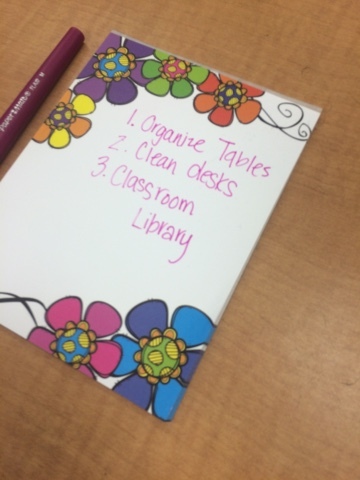 In their desks they keep one notebook, one folder, their take home binder, and a pencil box ONLY. I really don't feel like they can handle anymore than that without it being a disaster. 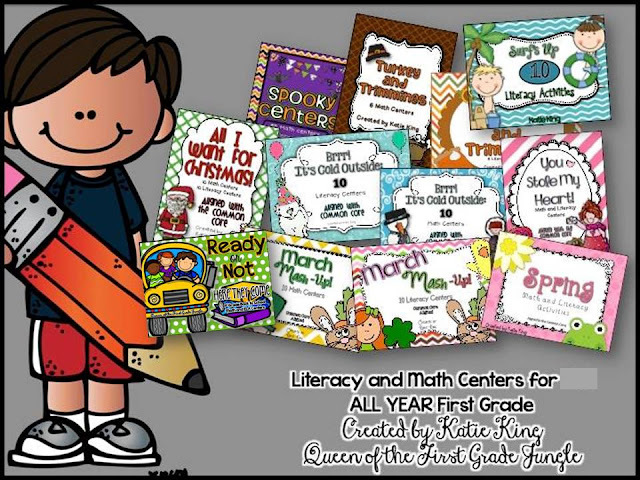 I also put away my centers from the end of the year and got out the beginning of the year centers. 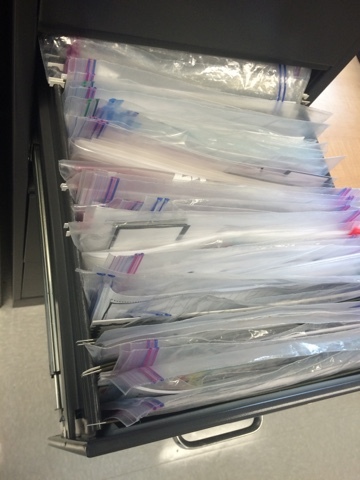 I put each center into a ziplock bag and then they go into a hanging file folder for what month they apply to. and ALL of 1st grade!! Last year I used binders for housing my printables and I once again fell in LOVE. SO much easier than files. Here is my Back to School binder. So easy to flip through and take to the copy room with me! 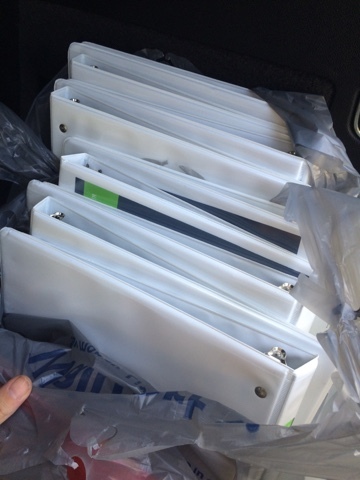 In fact I bought a ton of 1/2 binders to house the rest of my Busy Teachers in today!! 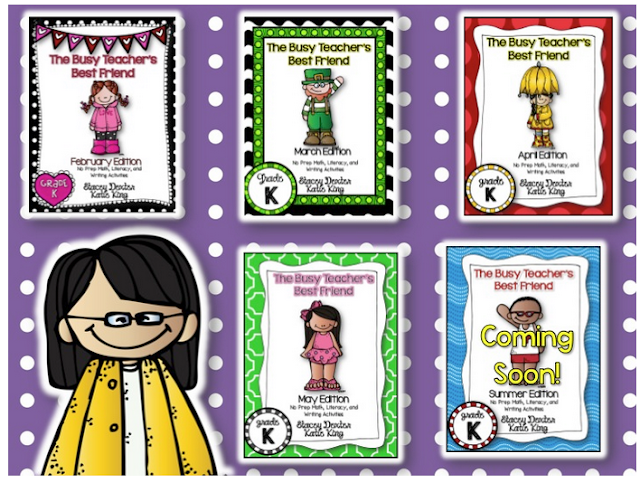 I have Busy Teachers for every month K-2! Don't forget tonight is the last night to save BIG! 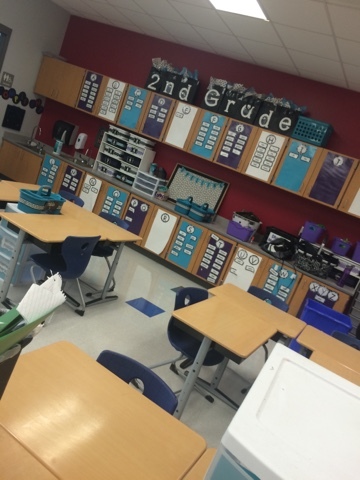 I went back to my classroom today and it got my all kinds of overwhelmed and excited! Not only is it my first day back in my room but because I had Smith May 20th... My sub closed my room! Which I am forever grateful- but oh my! I had no idea where anything was! I am actually quite amazed how well today went. Smith laid on the floor quite a bit. The bigger kids sat in the hallway and played on an iPad and then wandered the hallways when they got bored! The first thing I did was break out my trusty glue gun and repair my borders on my bulletin boards. After I did a ton of shuffling things from one table to the next. 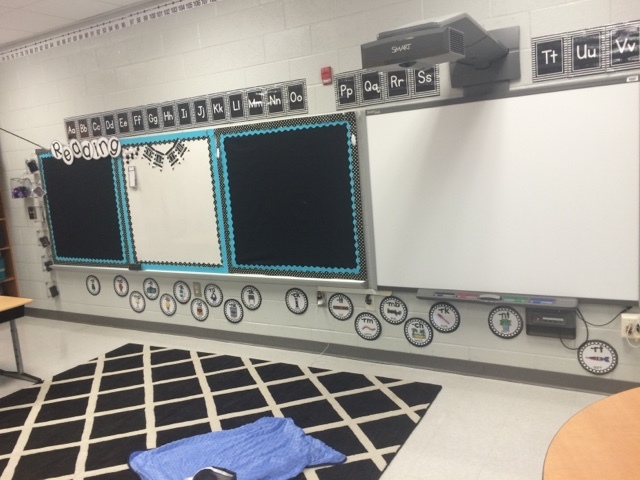 I tackled my teacher corner! I've already had requests on FB to do a closer look at this area which I'll be happy to do! Just not tonight- ha! This area was a HOT mess so I'm really proud of myself for getting it all together with minimal shoving things in drawers. The last thing I always do before I leave is decide on three big things to get done when I get there the next time. This tends to cut done on the wandering around when I come back in again! 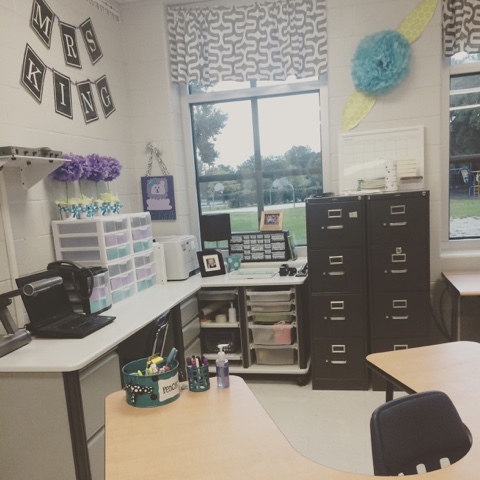 All this organizing and decorating has me thinking Back to School! 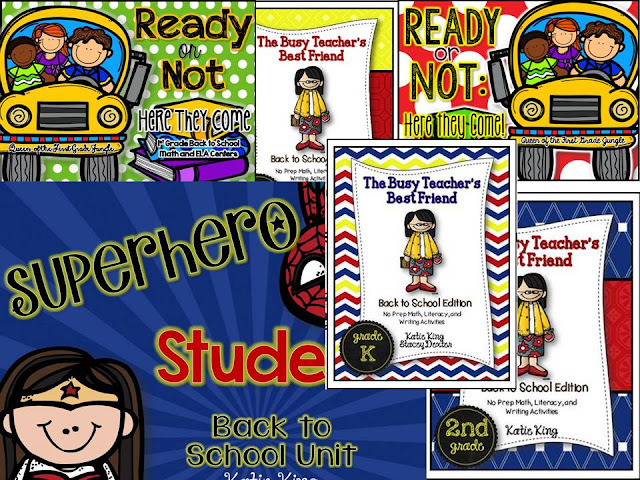 Do you need back to school products? Do you even BUNDLE??? 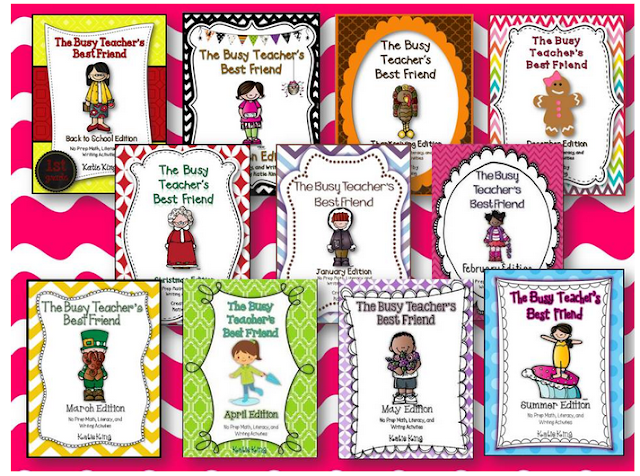 TPT LOVES Teachers! 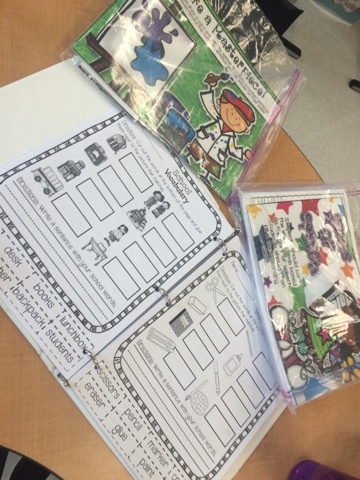 So I FINALLY finished my First Grade Centers that I have been working on for what feels like weeks! 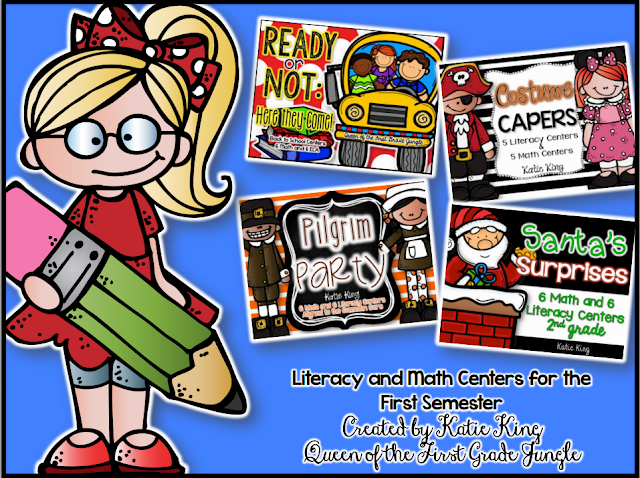 I have them split into just ELA and Math sections too if you don't need both. You can find those by clicking on the pictures below! 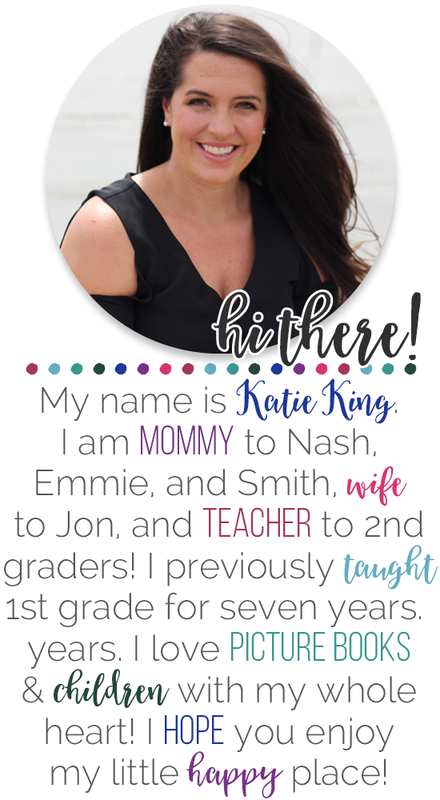 I remember those First Grade BABIES when they walk into the room in August. I have NEVER been as tired as I was the first few weeks of first grade. 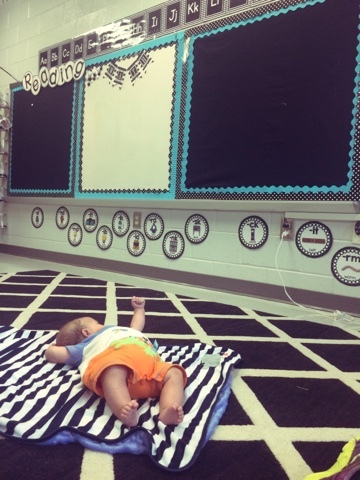 What I did with these centers to try and help y'all was do two versions of each center so the kids can work on independence! See how that works!? I still love y'all in First Grade!!! P.S. Did you HEAR? Tpt is doing their Back to School Sale Tomorrow and Tuesday! YAY! Thanks for the button Kacey :) You can find my store by clicking on the picture! And because I LOVE y'all and want you to save money, I keep finding ways to bundle my products. 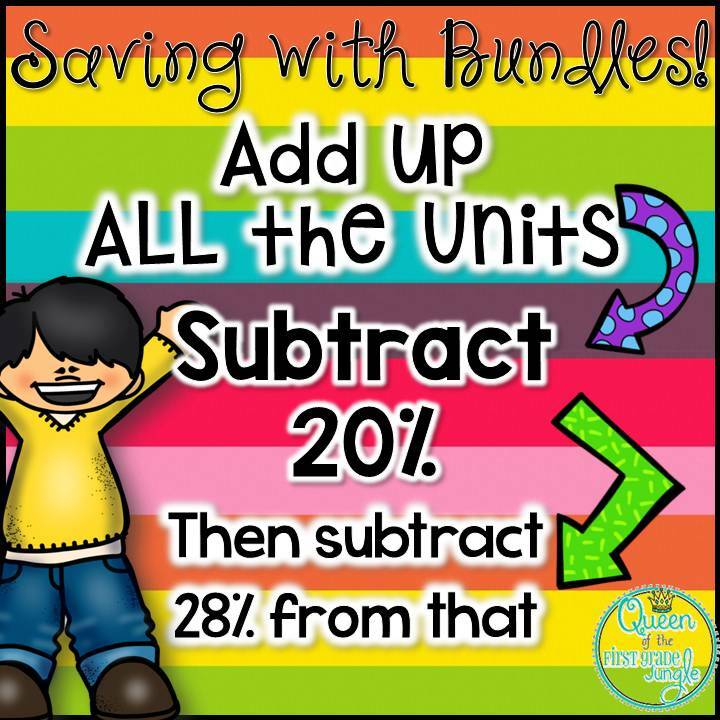 I made this visual to show you how you save BIG with bundles. When I pool all the products together for a bundle, I automatically take 20% off. This is what I do at least! Well tomorrow and Tuesday during the sale you will get an additional 28% off those bundles! Holy Guacamole! So here are the bundles that I currently have in my store!!! 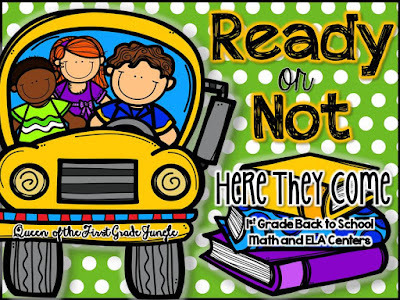 Hot off the presses a year's worth of centers for 1st grade! 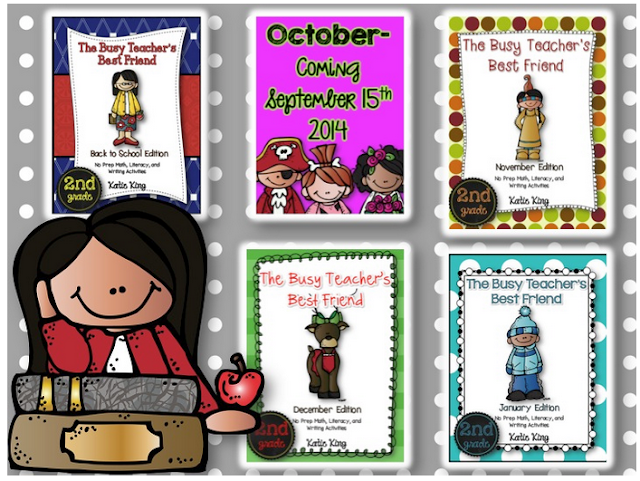 I also bundled the first half of the year for 2nd grade! 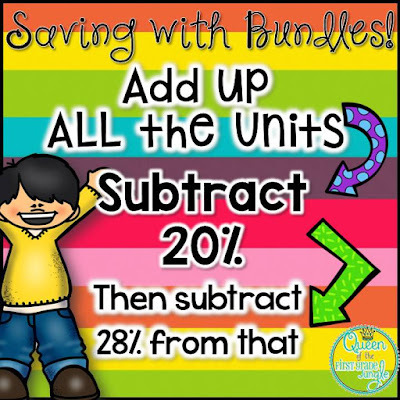 I still have a couple of units for the 2nd semester so I haven't created that bundle yet! 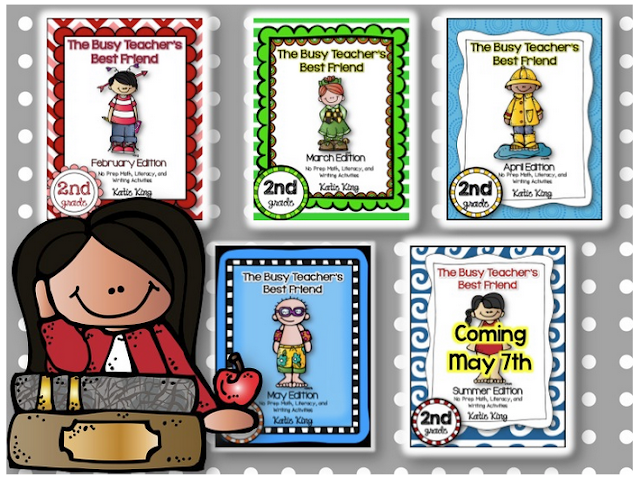 One of my most popular products is my 1st grade Busy Teacher Bundle! Even though October says coming soon, it is finished! 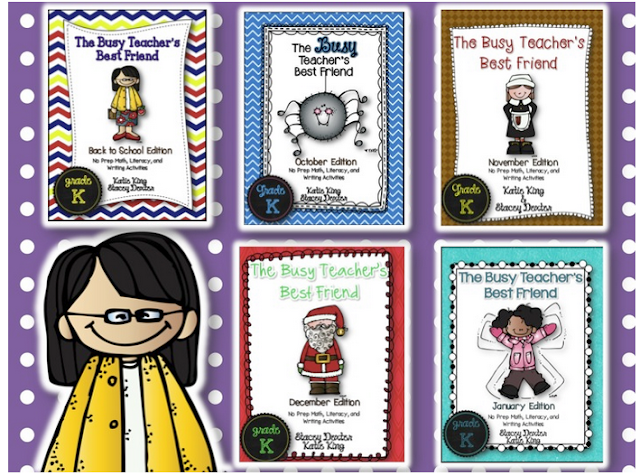 The whole bundle is complete for 2nd grade Busy Teachers! Don't forget I also have tons of Back to School Goodies too! I hope y'all have fun shopping! I know I will!! !